Home » Blog » Fiber Arts » Crochet » Sunday Snapshot: Crochet Hat and Scarf? Not so Boring. 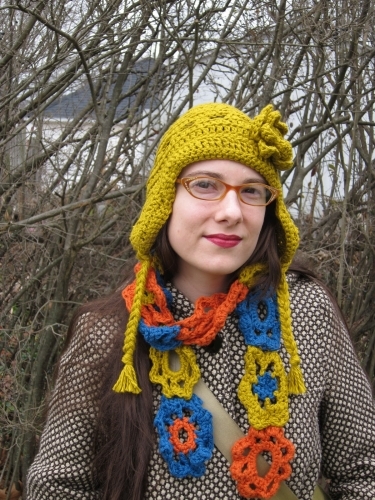 Sunday Snapshot: Crochet Hat and Scarf? Not so Boring. I’m fighting the early winter monotone of Michigan with a little crochet goodness. LOVE the goodness! Great colors! @Yvonne: Thanks! They each took a few days to a week, but with lots of breaks. Hawt. What kind of yarn is that? Cool! Thanks for the link. What size hook(s) did you use for that scarf? Also, this is a profile pic if i ever saw one. This totally qualifies as a superhero uniform.